Teranex Mini SDI to HDMI 8K HDR is an advanced 8K monitoring solution for large screen televisions and video projectors. Unlike basic converters, Teranex Mini can use third party calibration probes to accurately align connected displays for precise colour. There are 2 on‑screen scopes that can be selected between WFM, Parade, Vector and Histogram. Teranex Mini SDI to HDMI 8K HDR is perfect for film studios and broadcasters who need professional but affordable colour accurate monitoring. You also get an elegant design with colour LCD for monitoring and control of settings. Teranex Mini SDI to HDMI 8K HDR has been designed for any broadcast, live production or feature film work where you need large colour accurate SDI monitoring. Perfect for accurate grading monitoring for DaVinci Resolve, you can unload CPU and GPU processing, as Teranex Mini SDI to HDMI 8K HDR draws the 3D LUTs and scopes for you. That's important when using heavy 8K formats. 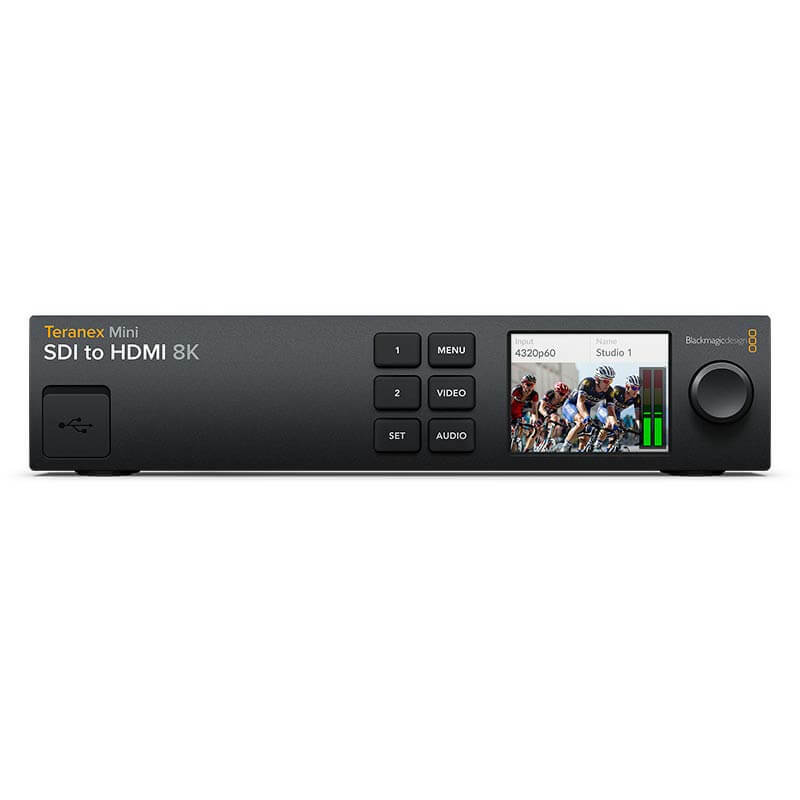 Teranex Mini SDI to HDMI 8K HDR is also great when using large televisions for multi view on switchers such as ATEM Constellation 8K so each view is large enough to check focus. You can even use quad split to build large video walls from multiple monitors. Imagine building giant 8K video walls at concerts and theaters. The innovative design is much better than regular converters as you can rack mount the converter if needed. The front panel feels elegant when placed on a desktop plus it includes buttons and a colour display for video monitoring with audio meters and video standard. The rear panel has Quad Link 12G‑SDI for HD, Ultra HD as well as 8K formats. There are also 4 HDMI outputs allowing use with 8K televisions that feature quad HMDI inputs, plus a down converter for using 8K sources on Ultra HD or HD televisions. You can even convert between 2SI and Square Division all automatically. There's also AC power, analog audio HiFi out and a front panel USB connection for use with monitor calibration probes. Two fully independent on screen scopes are included so compliance with broadcast standards is easy when doing critical high end work. Scopes are overlaid on screen so you can customize position, size and opacity. You can select from a range of scopes, including waveform for displaying luminance levels of your input signal. The vectorscope display allows you to see the intensity of colour at 100% SDI reference levels. You also get RGB and YUV parade displays which are ideal for colour correction and checking for illegal levels. Histogram shows the distribution of white to black detail in your images and highlights or shadows clipping. Teranex Mini SDI to HDMI 8K HDR includes the same high quality 33 point 3D LUTs as used in the film industry. 3D LUTs are perfect for recreating the look of old style film stocks, or they can be used to compensate for the colourimetry of the connected display. It's even possible to calibrate the connected display by connecting a third party USB colour probe and Teranex Mini SDI to HDMI 8K HDR will analyze the monitor and generate a 3D LUT to correct for colour differences between displays. Two independent 3D LUTs can be loaded and you can select between them from the front panel. Plus 3D LUTs use standard file formats so you can load LUTs generated by software such as DaVinci Resolve. 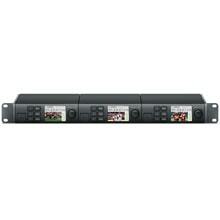 All Quad Link 12G‑SDI inputs have outputs for looping to other equipment. Plus all HD, Ultra HD and 8K standards are supported allowing broadcast or film industry use. In 720p you get support for 50p, 59.94p up to 60p. In 1080i formats, you get 50i, 59.94i up to 60i. 1080p, 1080PsF as well as 2160p formats are supported from 23.98 to 60 fps. You even get support for 2K and 4K DCI film formats from 23.98p to 60p. 4320p 8K formats are supported at 23.98, 24, 25, 29.97, 50, up to 59.94. With 2SI to Square Division conversion built in, an 8K source will be automatically converted for the monitor. Teranex Mini SDI to HDMI even handles both Level A or B 3G‑SDI plus YUV and RGB SDI formats. 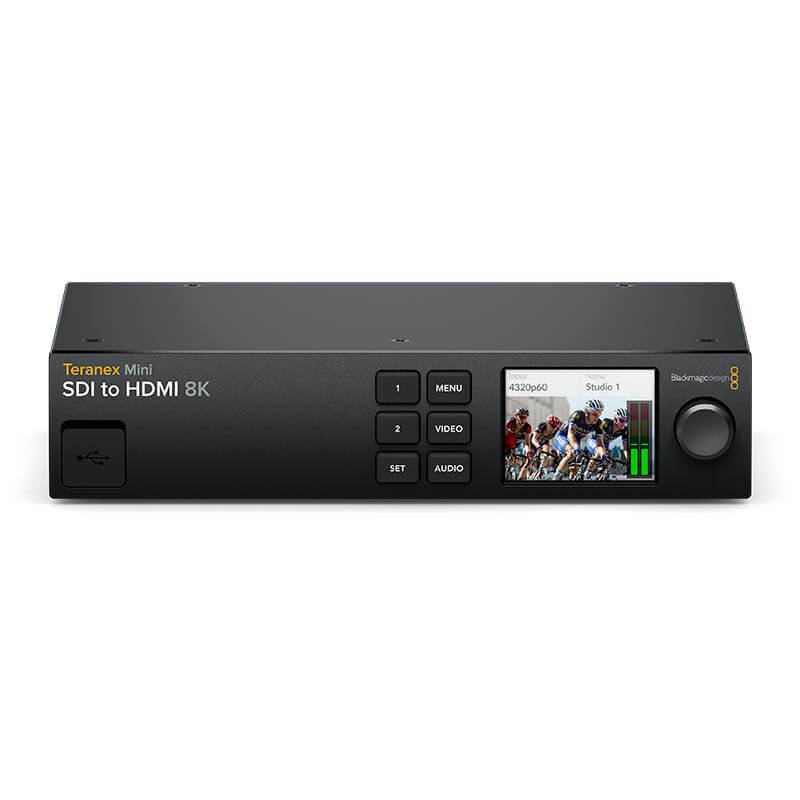 Even though Teranex Mini SDI to HDMI 8K HDR features Quad Link 12G‑SDI when working in full resolution 8K, it can also switch to HD, Ultra HD, 2K DCI and 4K DCI formats when required. This means you can use it for a lot more than 8K. 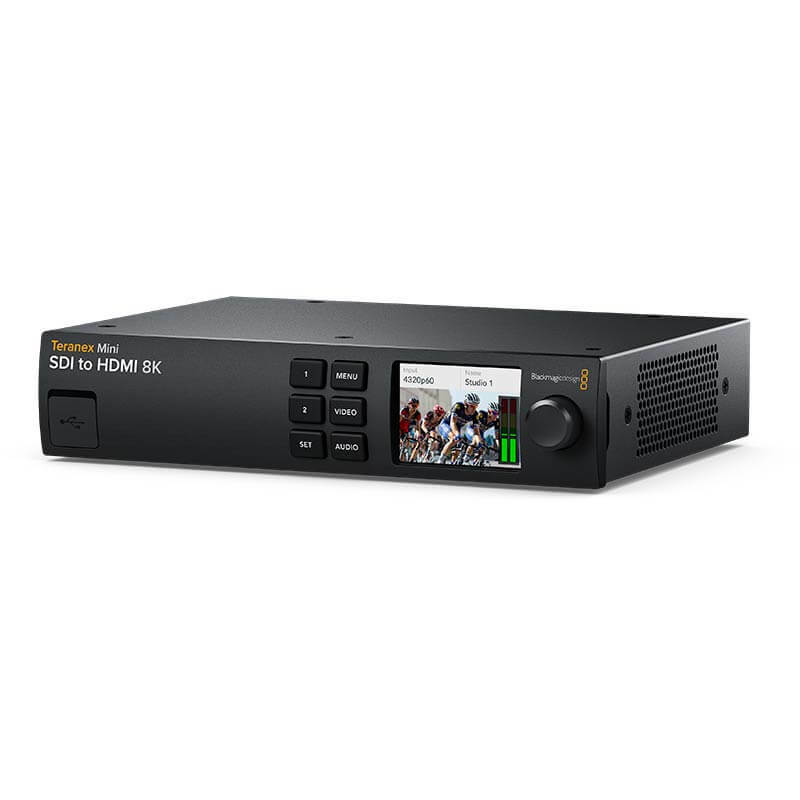 When a HDMI monitor, television or video projector is connected, Teranex Mini SDI to HDMI 8K HDR will communicate with the display via EDID and if the monitor cannot handle the resolution, then it will be automatically down converted for display. This means you can use a HD or Ultra HD display for 8K or you can use a HD display for Ultra HD. This ensures you always get images on your display no matter the SDI standard. While changing settings via the on screen menus from the front of the converter is convenient, often you find the converter might be installed in a location that's difficult to access. 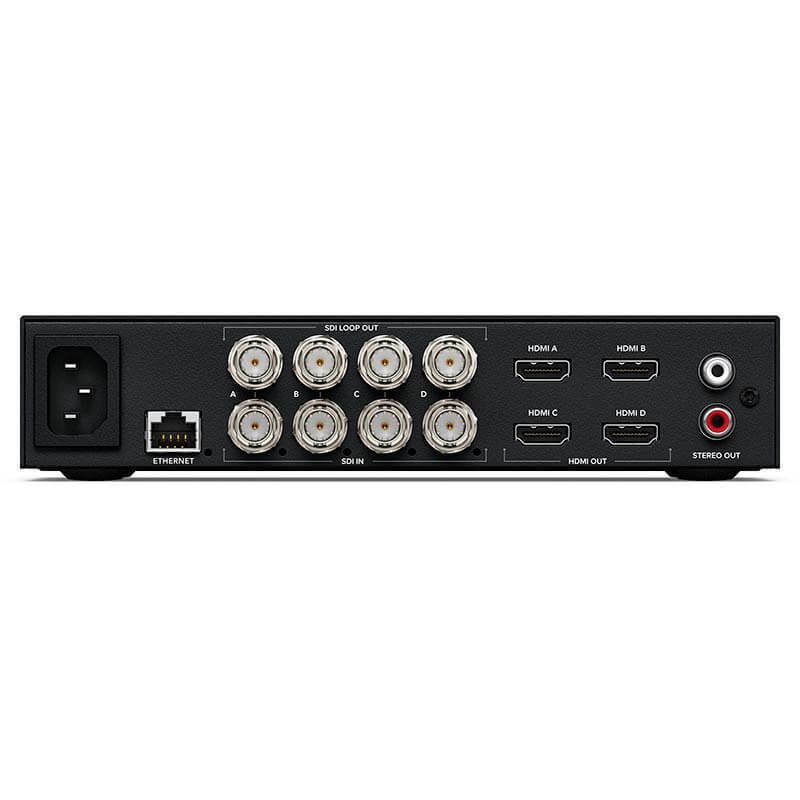 In this case, Teranex Mini SDI to HDMI 8K HDR features Ethernet for remote access via the internet, or you can use the included software utility for Mac or Windows operating systems. This software even works via USB. The latest Teranex software utility can also update the converters software so you can upgrade to the latest video standards and features. You can even load and save LUTs remotely, as well as select and position the built in scopes. 8K is fantastic for digital signage as with a single clip you can drive a single 8K display, 4 separate Ultra HD displays or, via an extra converter, you can even drive 16 HD displays for an extremely exciting video wall display. 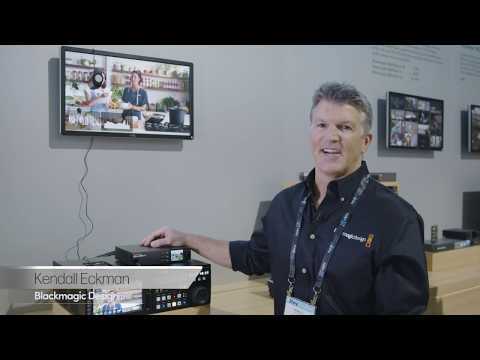 DaVinci Resolve combined with DeckLink 8K Pro is extremely common in Hollywood film studios. Teranex Mini SDI to HDMI 8K HDR is the perfect solution to run large projectors and local colour accurate displays. Teranex Mini SDI to HDMI 8K HDR is compatible with a wide range of televisions and monitors. However for the best colour accuracy, monitors are the best option as they have stable image processing and won't shift colour much after you have performed calibration. For rack mounting, simply add a Teranex Mini Rack Shelf. This consists of a metal tray that holds the converter and allows it to be screwed down before the whole shelf is bolted into the rack. The Teranex Mini Rack Shelf even includes some blank panel plates and these can be screwed into the shelf when you only want to mount a single converter but don't want to see an annoying hole in your installed gear. Of course Teranex Mini SDI to HDMI 8K HDR includes rubber feet that you can attach to the underside of the converter if you want to place it on a desktop.